What is LinkedIn for? And can we do better? The world’s biggest recruiting site is thriving. But there’s a lot more to the working world than this. LinkedIn monetizes recruiting—and recruiting activities increase the noise and clutter in our professional networks. I joined LinkedIn about 10 years ago, and I’m still not sure what I’m doing there. I have yet to find a job on the site. I don’t source deals on it. Most career opportunities come from my network, and that network rarely approaches me through LinkedIn. When I’m doing the hiring, I’ll post on LinkedIn. But I don’t expect much. The listing is a formality. It shows that the job is publicly available. HR departments, eager to stand on ceremony, think that’s necessary. So be it. But my best leads, and ultimately my hires, come from my personal network—which, again, exists largely outside of LinkedIn. And I wonder: What, exactly, am I linked “in” to? As far as I can tell, I’m linked into being a cold lead for sales inquiries, recruiter spam, and “investment opportunities” that sound only slightly more legitimate than money-transfer requests from Nigerian royalty. Occasionally someone valuable will introduce herself to me via InMail, LinkedIn’s service for reaching connections of a second, third, or fourth degree. But if one of these connections approaches me, and we hit it off, we’ll move the conversation to email as quickly as possible. There we’ll conduct our business, outside of the “in” that links us. That’s the problem: LinkedIn floats among all the distinct-but-important social clusters and use cases in our working lives. It’s grabbed a piece of all of them—but it owns none of them in full. Be it recruiting, organizing, networking, mapping, sharing, engaging, or keeping in touch—with people close, distant, trivial, or important—LinkedIn does everything partially, and nothing specially. LinkedIn is the first step in many professional sequences, but the last step in none. Next, there’s the set of distant, but cordial professional contacts: former colleagues, acquaintances, and friends of friends. These people aren’t close enough for Facebook, and they make sense as LinkedIn contacts. But when it comes time to engage with one another, we’ll do it over email. It’s a more robust, flexible, and dynamic form of communication than LinkedIn’s messaging service. Technically, we could talk to each other on LinkedIn; practically, LinkedIn adds no value to that process. Then there’s the set of professionals I don’t know. It’s a vein rich with diverse perspectives. It complements the limits, both social and ideological, of my personal network. Twitter, properly tuned, is a great way to communicate outside my circle. So is AngelList, a go-to place to meet people in my industry. Even boldfaced names, of the kind I could never solicit through InMail, are within my reach on these channels. Why should a well-known founder, VC, author, or executive feel comfortable interacting with me on AngelList, or Twitter, or even Hacker News, but not on LinkedIn? There’s less social pressure on Twitter, but arguably more pressure on AngelList. Social pressure is a partial, but insufficient explanation. The use case is equally important. On LinkedIn, I’m Jon Nathanson: a person, with a mostly static résumé, connected to N people, presented as the sum of these parts. Before you interact with me, you take stock of me in that light, and you make a determination: Either I’m worthy of your time, or I’m not. Your hasty assessment of my quality on paper colors and precedes everything I could say and do with you on LinkedIn. But on Twitter, I’m a stream of information; you pay attention first to the message, and second (if at all) to its messenger. On AngelList, I’m someone you’re involved with—connected through mutual interests in a deal, or as part of an investment syndicate, or as a serious prospect for such. We are connected through practical matters; we are connected through our actions and our financial positions. My profile still matters, but it matters more that I put my money where my mouth is. In online communities, like Hacker News, Quora, or StackOverflow, you’ll judge me not by the names and brands on my résumé, but by the quality of my thoughts in writing. On collaboration sites, like GitHub and Penflip, you’ll see me in action: contributing code, writing, graphic design, or other work to a common goal, with tangible and observable output. And yet, none of these sites, in and of itself, can replace LinkedIn. That’s because each site is too specific: either by use case, by job function, or by ad hoc nature. Penflip might be a great way to meet and work with other writers, but it’s not a great way to organize a network of such. Twitter is a great place to get and share information, but it would be a strange place to look for work. I can scout developers on GitHub—but what if I need a lawyer, or salesperson, or a marketer? For specialized use cases, these sites are superior to LinkedIn. But they’re narrower. And that matters, at least in theory. In theory, there are times when a programmer needs to contact a marketer, or when someone in the pharmaceutical industry seeks the opinion of someone in the baked-goods business. In theory, one site to post (and find) all job listings, for all needs, is easier to manage than a dozen, specialized sites. In theory, recruiters and companies need a public place to post job listings—regardless of skill sets, specializations, or niches. LinkedIn fills each of these purposes, though not especially well. It’s the God of the gaps in the Cubicle Kingdom. We can shrink those gaps even further, because they’re at odds with each other. 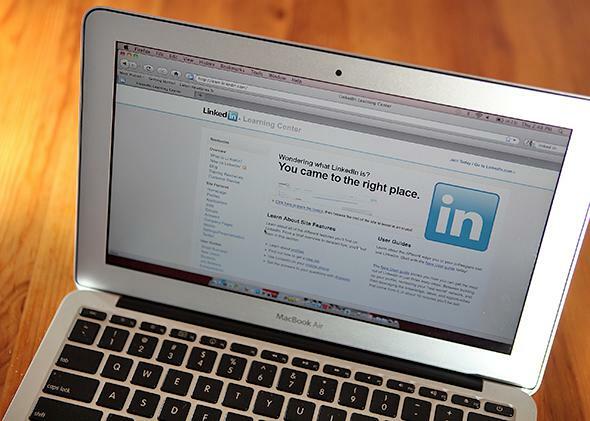 LinkedIn attempts to be a social network, but it’s really a recruiting service. The company makes more than one-half of its revenue from job listings, which it jargonizes as “Talent Solutions.” It makes a little over one-quarter of its money from “Marketing Solutions” (display advertising), and about one-fifth from premium subscriptions. Per the company’s strategic goals, as outlined in its 2012 Annual Report, LinkedIn aspires to be much more: the “profile of record” for professionals, as well as a news and content service. It would like to improve connections and interactions between professionals. But it has a financial disincentive to do so, because it sells premium subscriptions (and InMail). Those products are primarily useful for recruiters and salespeople, who call on people outside of their networks. In other words, LinkedIn monetizes recruiting—and recruiting activities increase the noise and clutter in our professional networks. They reduce every interaction to a transaction. They fill our contacts lists with people who are, more or less, advertisers. They drive our personal engagements with our real business networks off of the site, and onto email, Facebook, or other communication channels. What’s worse, all of LinkedIn’s recruiting is based on an outmoded premise: the idea of the standard-issue job market, which puts out postings and takes in resumes. Modern-day recruiting can do a lot better than that. Want to build a better LinkedIn? Start by attacking the verb link, or the preposition in. Linking should be done in the present tense. Professional contacts, prospective employees, and employers should come together for specific purposes: short-term projects, requests for proposal, open calls, collaborations, or sharing of information. People should be working together, or exchanging value in some form and for some fleeting, but deep reason. Anyone should be able to post, sponsor, and attract interest for a project, and anyone should be able to contribute. The best ideas attract the most interest, and the best talent makes itself known by the value of its contribution. In should be based on contexts: anything from industry rumor mills, to alumni networks, to mentorship circles, to company networks, to professional associations. LinkedIn’s groups have the basic idea here: Professionals need a reason to talk to each other. But LinkedIn groups are boring static, while topics themselves are energetic and mutable. A Reddit-style message board seems much more conducive to everyday exchange within an interest group. The success of specialized sites, like Hacker News, attests to that. I doubt any one site or service can replace all of what LinkedIn does, or at least supposedly does. That’s fine. We don’t need it all. In the future, hiring will be based on interactions and real-time data—not self-reported bullet points on a profile. Collaboration will be based on specific people and purposes, serving as beacons and putting out calls. People’s networks—those vital sources and backchannels—are ripe for the taking. I’d sign up today for a spam-free, pre-vetted professional networking service. And people like me? Talk to some of America’s 155 million working adults, and chances are, at least a few will listen.